Writer Ellen Galford is coming to Waltham Forest next month. ‘An audience with Ellen Galford’ is on at the North Chingford Library on Monday 7 March. Although the event is not strictly in Walthamstow, it is easily accessible from E17 and looks interesting. Ellen is an American-born Scottish writer who moved to the UK in 1971. She came out in the mid-1970s and will be discussing what it was like to be the author of contemporary lesbian fiction in the 1980s and 1990s. 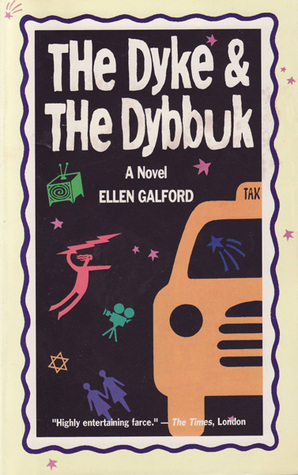 Ellen will also be reading from her 1993 work, ‘The Dyke and the Dybbuk’. The event runs from 7.45pm-8.45pm and is free. You can just turn up on the day, or book a place by phoning the library on 020 8496 1070. Walthamstow is at the top of the Victoria line and at the heart of the action. We might only have a corner of the dancefloor that is London, but we aim to pull shapes like our lives depend on it. You can check out what's happening in the 'Stow on this blog, you can follow us on Twitter, you can find us on Facebook, or you can email us. So pull up a glass, read, comment, and enjoy.